Meet Me on the Barricades recounts a few days in the life of P. Herbert Simpson, a middle-aged, weak-hearted oboist with the New York Symphony Orchestra and leftist fellow traveller. Simpson is also subject to wild hallucinations that are sometimes daydreams, sometimes drunken delirium, and sometimes intricate dreams while asleep. In his hallucinations, he escapes his unrewarding marriage into a passionate fantasy of a Russian girlfriend, and escapes his day job in the symphony to fight on the front lines of the Spanish Civil War. Harrison’s novel is a unique book, significant for its self-consciousness as both a modernist novel and a political document. 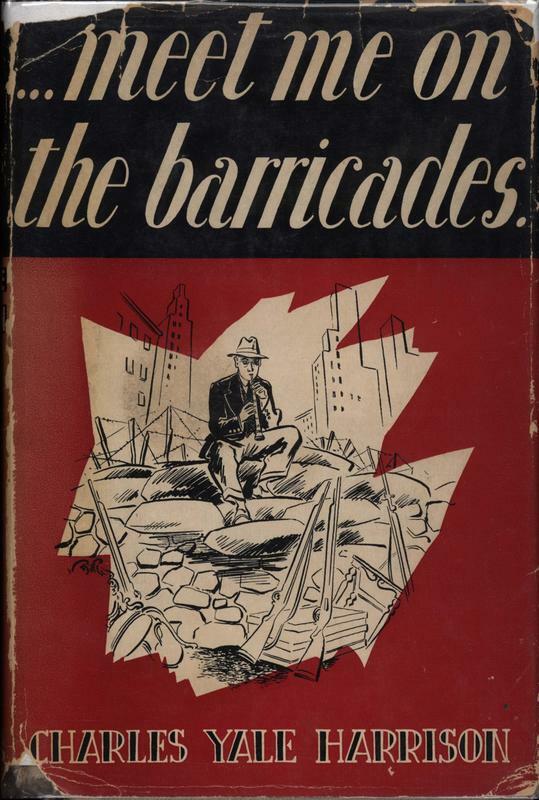 Meet Me on the Barricades is a densely allusive text that layers global politics, revolutionary theory, classical music, literary theory, world history, and anti-Stalinism.